It should come as little surprise that a group of vehicles devised, engineered, and intended for an array of uses by a diverse motoring public would come in a variety of sizes, shapes, powertrains, and prices. The sport-utility vehicle has, whether we like it or not, become the do-everything vehicle for the American consumer. This is what makes this contest, more than Car (or Truck) of the Year, the most difficult to judge. From frugal two-box runabouts and a tall, zippy hatchback to seven-passenger people haulers, foul-weather adventure mobiles, and no-compromises rock-crawlers and everything in between, this year’s 2017 SUV of the Year contest spreads its net farther than any previous competition we can recall. Brands hailing from England (1), Japan (9), Germany (4), Korea (1), and the U.S. (4), these 19 international contenders were represented by 31 model variants. Base prices ranged from just over $24,000 up to a whisker under $117,000. 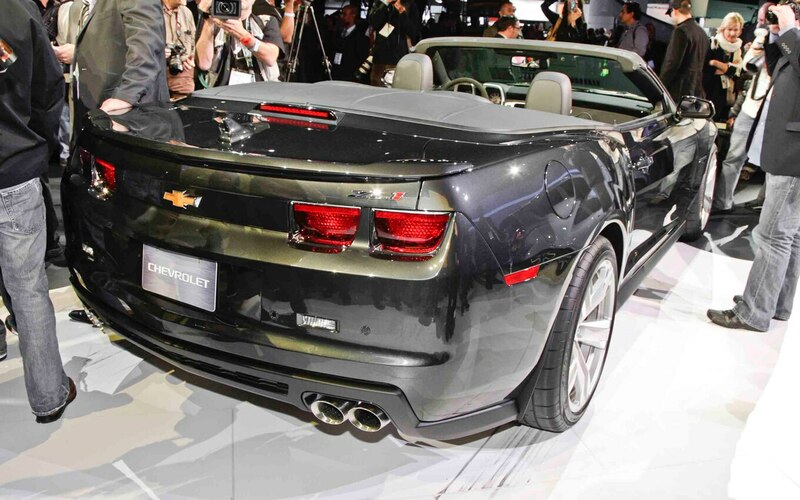 Powertrains ranged from a 1.5-liter four-cylinder to a 5.7-liter V-8. 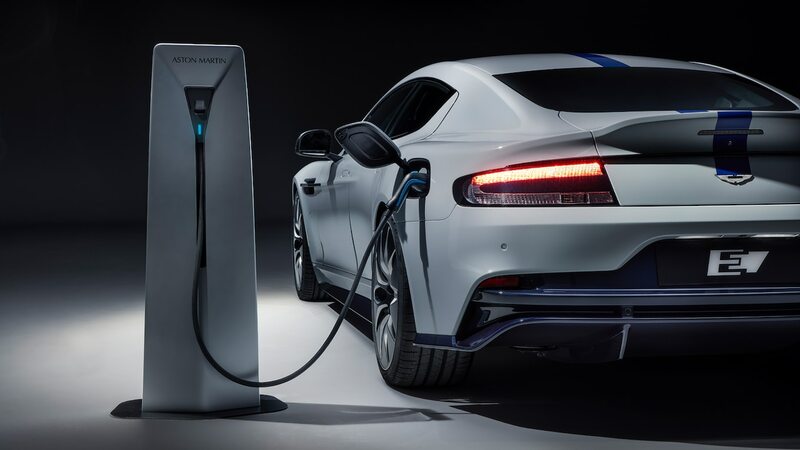 Naturally aspirated, turbocharged, twin-turbo, supercharged, gas/electric hybrid, and pure electric motors put their motivation through front-wheel drive, all-wheel drive, and four-wheel drive drivetrains. Horsepower varied from 168 to an electric equivalent of 532, with EPA highway fuel economy numbers stretching from 95 MPGe down to 18 mpg. With so many interpretations of this vehicle type, how could we possibly pick a single 2017 Motor Trend SUV of the Year? 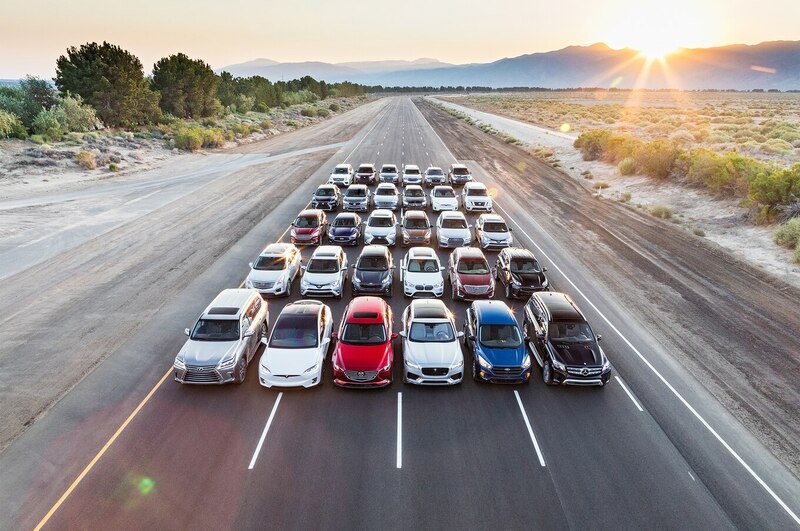 Each contender first underwent our usual battery of instrumented tests to quantify its on-road performance envelope within acceleration, braking, skidpad, and Motor Trend’s dynamic figure-eight test. During this three-week period, our in-house Real MPG lab measured on-road fuel economy to gauge true efficiency. Next, along with 11 judges and an army of support staff, photographers, and video operators totaling about 30 people, all contenders traveled to Honda Proving Center California (HPCC), where they were subjected to an exhaustive back-to-back-to-back round-robin of controlled, closed-circuit evaluations. These exercises included but were not limited to noise/vibration/harshness tests, ride quality, limit handling, off-road ability, semi- and full-autonomous driving features, special surface capability, and—as the Mojave desert facility would dictate—high-temperature operation and high-wind susceptibility. This round of evaluations produced our short list of six finalists that were then driven on an established 28.5-mile loop in and around Tehachapi, California, to rank them in order from a single winner down to sixth place. Keep in mind we don’t compare apples to bowling balls. Each contender was evaluated relative to its peers within its self-said segment, with six criteria in mind. We evaluate how much, if any, the exterior and interior designs advance or innovate; the vehicle’s relative value with price and options in mind; whether it accomplishes a stated or implied function/mission; how efficient the powertrains are and the carbon footprint they produce; the active/passive safety equipment and official test results; and the engineering involved in everything from the manufacturing process to processes/hardware that affect dynamic performance. Finally, we look for clever packaging or materials solutions that benefit the consumer. Without further ado, introducing this year’s diverse 2017 SUV of the Year contenders and our judges. 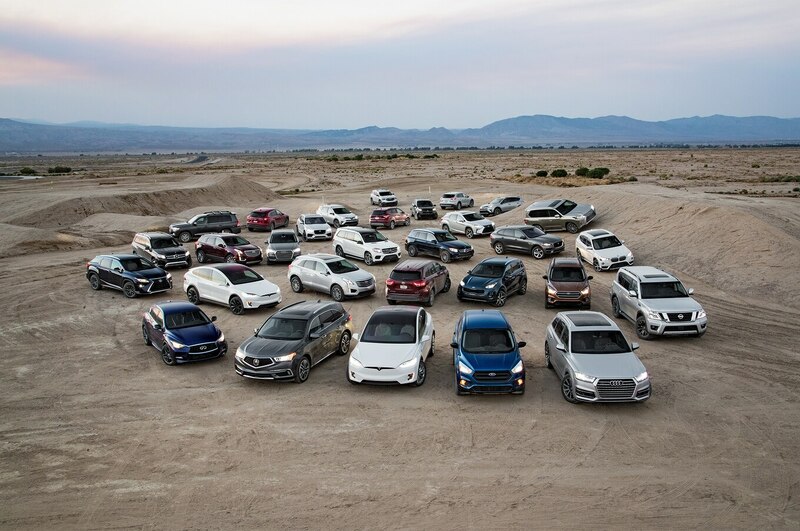 We put each SUV through the usual battery of instrumented tests at our Auto Club Speedway test facility. Utilizing “mil-spec” satellite GPS, our Vbox data-acquisition equipment measured 0–60 and quarter-mile acceleration, 60–0 braking, and lateral-acceleration on the skidpad. 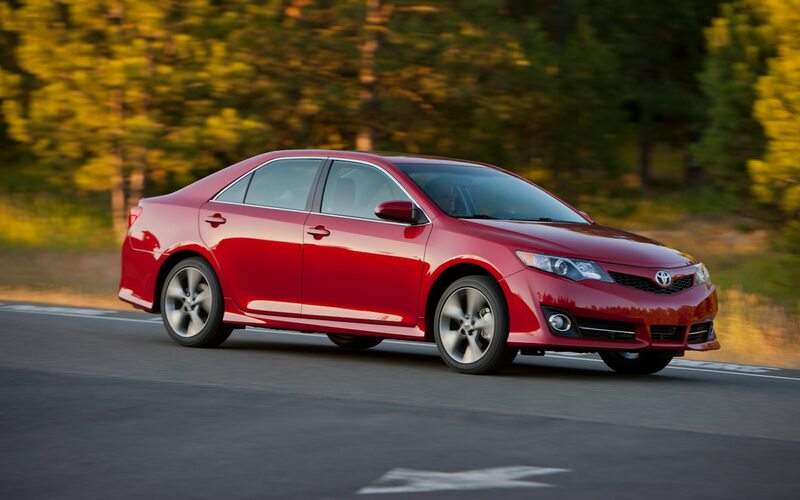 It also generated a best lap time through Motor Trend’s dynamic figure-eight test. With these numbers, we generated a mega-spreadsheet with all the contenders’ performances listed for comparison with all its peers in our to our database dating back 20 years. Meanwhile, our Real MPG team pumped calibrated Chevron test fuel and attached highly sensitive instruments to measure and quantify city, highway, and combined Real MPG fuel economy results. This year, we enlisted the help of American Honda Motor Company to use their recently renovated Honda Proving Center California. Located in the high desert near Mojave, HPCC has nearly completed a $25 million refurbishment—including a billiard table–smooth 7.5-mile oval, a 1-mile offshoot of which precisely replicates the notoriously choppy, concrete-slab 110 freeway in Southern California. Here, we evaluated merging, wind/road noise at various speeds, ride quality, lane keeping warning/assist systems, and adaptive cruise controls if so equipped. 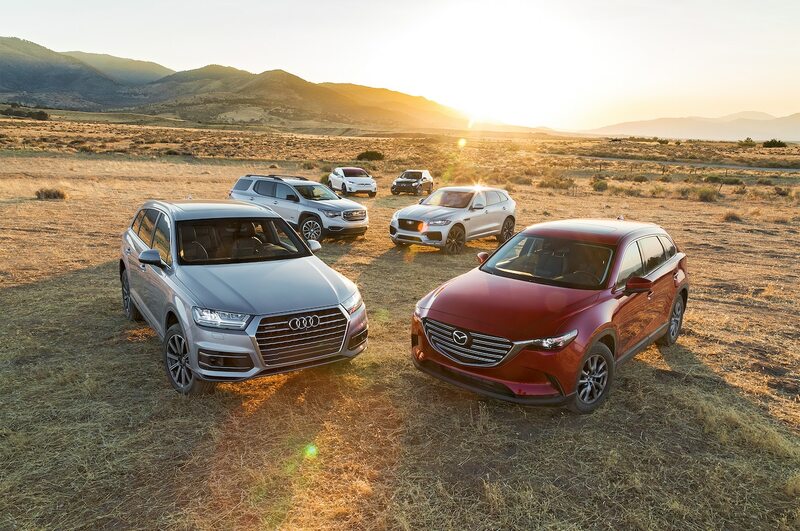 On a 2.2-mile winding road, we evaluated each SUV’s steering, engine, transmission, suspension, and brake system calibrations on a variety of rising, falling, on/off-camber, and steady and decreasing-radius corners. For off-road testing, Honda prepared a loose-gravel road loop, and repaired a half-mile course consisting of deep silt, packed dirt, numerous dips and bumps, side inclines, and a steep 50 percent incline/descent. During these two days of testing, every SUV also endured a thorough poking and prodding of their interiors’ ingress and egress, seating accommodations, packaging, materials and build quality, audio systems, cargo areas, and so on. At the end of Phase 2, the judges cut the list from 19 SUVs down to six finalists.